No new birds to report right now. However, this spot will soon get very busy with clouds of migrating birds. The 2014 Longshore Count season is scheduled to begin in less than two weeks. If the birds start moving and temperatures warm some, we may begin as soon as March 9, 2014. What will be … Continue reading Longshore Season Starts Soon! 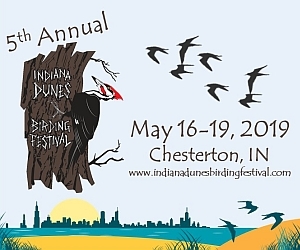 Are you a Dunes Birder? Are you a birdwatcher? Are you a birder? Is there a difference? What impact do birders have in the economy of the dunes area? All are important questions to ask. It's these questions that when answered, provide some of the needed backbone behind conservation initiatives. Quite simply, money talks. It's this reason that the most … Continue reading Are you a Dunes Birder?